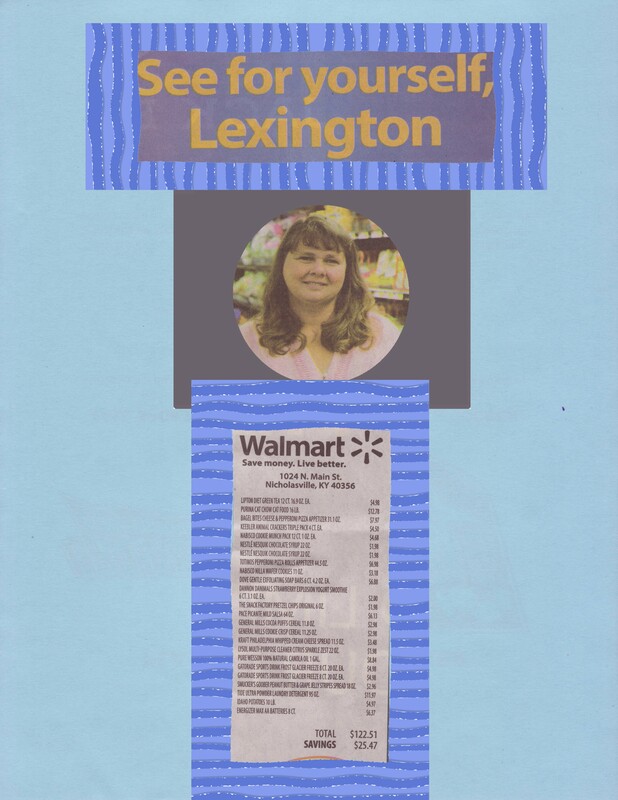 (Click on photo to enlarge) This is the fourth in my series on WalMart grocery ads in our local paper. Just as with the previous posts here, here, and here, their latest is chock-full of highly processed, unhealthful food. Once again, the shopper is posed in the produce aisle but the only unprocessed food on her list is a 10 pound bag of potatoes. The rest includes things like Gatorade, sugary cereals, and cookies. 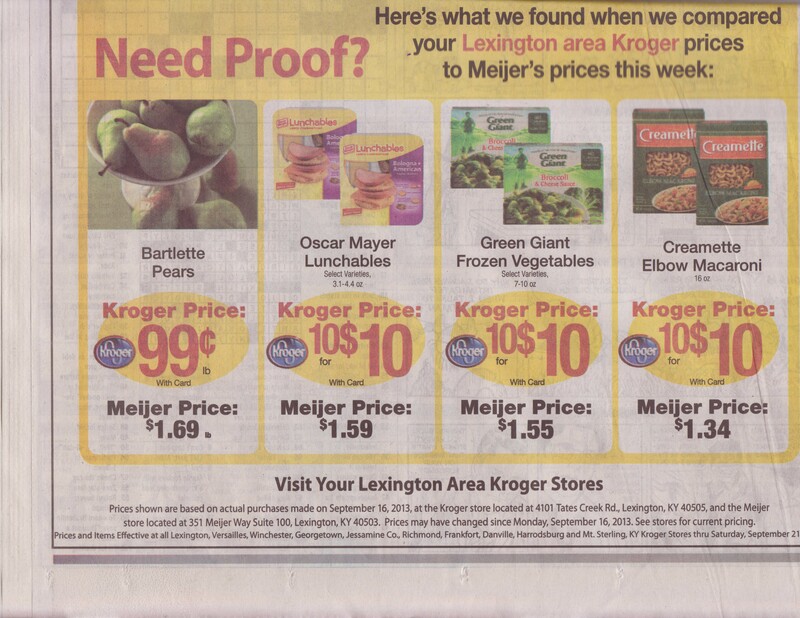 At least this week’s Kroger ad was half fruits and vegetables. 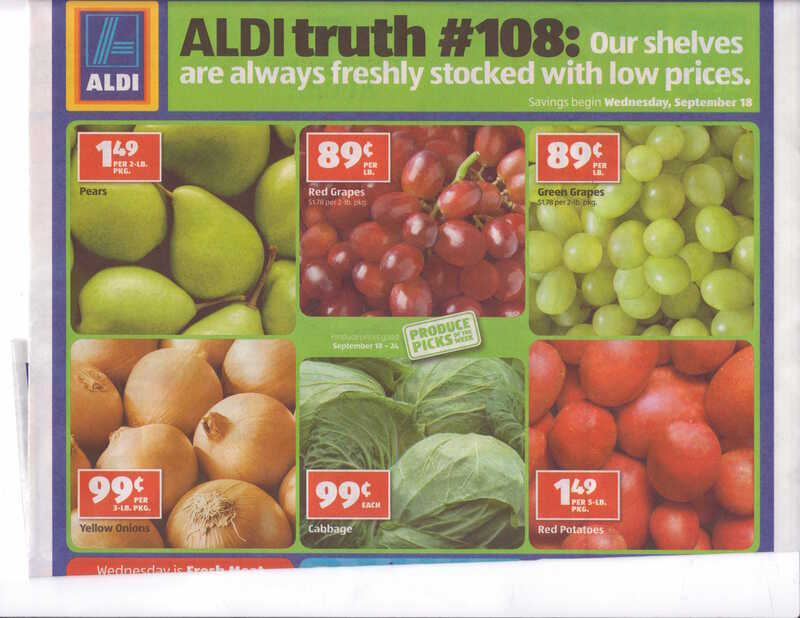 This week’s Aldi’s ad was even better. WalMart uses the tag line “Live Better” so shouldn’t their ads include food that helps people do just that? With a new report showing Kentucky is one of top states for childhood obesity, it is even more critical to buy foods like those in the Aldi ad instead of WalMart’s. A new study shows that being obese in childhood may quadruple the risk of having high blood pressure risk as an adult, highlighting the need for Kentucky to curb its high rate of childhood obesity. Eighteen percent of Kentucky high schoolers are obese, tying Mississippi for the highest percentage among the states, says a report by Kentucky’s Task Force on Childhood Obesity. In the age range of 10 to 17, Kentucky trails several other states but remains a national leader. Tags: Aldi, Kroger, Walmart. Bookmark the permalink.